Our client, Jonathan Kushner, President of KRE Group, talks to Globest.com about receiving NAIOP’s Impact award and the company’s active pipeline. KRE Group president Jonathan Kushner is to receive an “Impact Award” from NAIOP at the Awards Gala tonight at The Palace at Somerset Park. He will accept the trendsetter honor along with his father, Murray Kushner, the Bridgewater-based company’s chairman. The younger Kushner sat down with GlobeSt.com’s Antoinette Martin to discuss KRE’s path to recognition. GlobeSt.com: We see that “integrity” is one of the criteria for winning an Impact Award. What does that mean to you? Kushner: It means that we are a company that cares about not only being successful financially, but with our community, our tenants, our subcontractors and companies that we work with. Integrity is a Number One principle here. It sounds cliché, but we really mean it. GlobeSt.com: KRE has a 2% vacancy rate for its portfolio. How did you manage that? 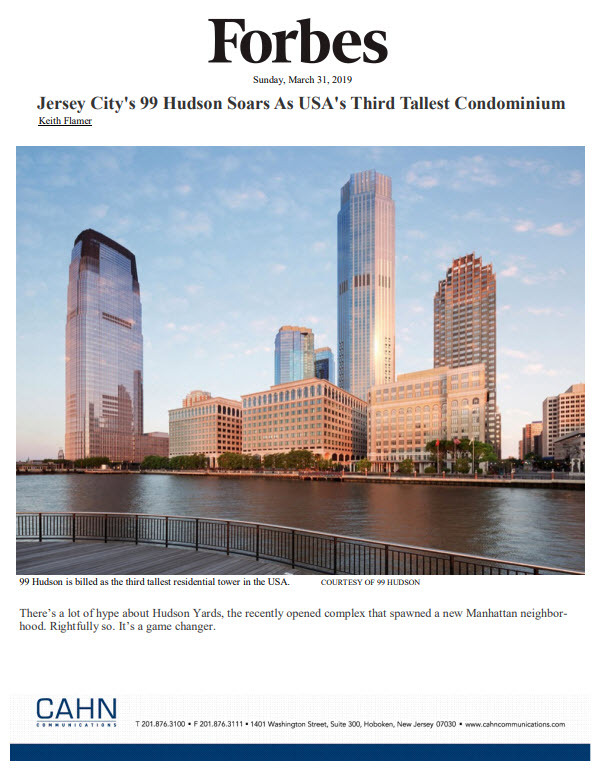 Kushner: We see the market responding to the stability of a well-funded New Jersey-based ownership that is committed to upgrading and modernizing its properties of all types, and adhering to a tenant-first approach. GlobeSt.com: Can you talk about the projects in your pipeline? There’s a lot more impact to come, right? Kushner: Definitely. We have 18 Parkunder way in Jersey City, with 422 rental units and a new facility we are building for the Boys & Girls Clubs of Hudson County. With our partner on that project, Ironstate Development, we plan another 688 units and retail on the site. Also in Jersey City, we are about to break ground for the first of three residential towers at Journal Square. We’ll be putting a total of 1,840 rental units there. It’s an incredibly exciting project that has been in the works a very long time. Kushner: This summer we start work on a million-square-foot development, Hudson Lights in Fort Lee. The first phase will be 276 rental apartments, 112,000 square feet of retail space and a 770-space parking garage. On that one, we are partners with Tucker Development out of Chicago. GlobeSt.com: KRE prefers to work in development partnerships? Kushner: We like to consider ourselves professional partners. In a lot of cases, a project idea was baked by another company looking for a partner. In other cases, we’re the ones cooking it up. GlobeSt.com: What part of the process do you personally enjoy most? Kushner: I really get caught up in finding a beautiful design that will provide the tenants with what they really want. At 18 Park, for example, we’ve got a really intriguing look for the outside of the building, an incredible rooftop garden – the best one in Jersey City – an amazing lobby. There will be great art work in the common spaces, ample retail and the tenants will access to the Boys & Girls Club facilities, including a full basketball court. How great is that?